The Good and The Great – along with some Old Purleians – Celebrate the life of Derek Akers. A crowded Christ’s Chapel at Dulwich yesterday witnessed the coming together of family, friends, former colleagues and many Old Purleians to remember and celebrate the life of Derek Akers. It was pleasing to note that OPs present at the service, some of whom had travelled from afar, spanned the full spectrum of Derek’s time as Headmaster of the school. Alan Crosskey, former music teacher at the school, played the organ – as he had done the day before at the crematorium in Hastings. The service was conducted by Robin Turner ( his lifelong friend ) and Alan Gregory (Chaplain of Dulwich College ) to which Derek won a scholarship in the 1930s. The Chaplain was himself a former pupil at Dulwich and was one of the first boarders in the ‘house’ which was overseen by Derek, and his wife Pat, when he first returned to work at the College in 1955. The Chaplain recalled the care and attention afforded to him at this early stage in his life and went on to outline how he got to know Derek better as a colleague in later years. 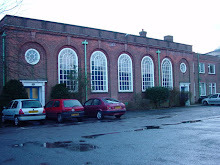 Although Derek ‘retired’ in 1988, when Purley School changed to a sixth form college, it was clear that he maintained a keen interest in many areas, obviously returning to Dulwich College on a regular basis. As one would expect, the most moving tribute was paid by his son, Tim. Mention has already been made of the time Derek spent during family summer holidays in memorising the names and faces of boys starting in the new academic year. However, it was not just summer holidays. Stories as recounted showed that the family involvement during Derek’s career was almost 24/7. His early days at Dulwich were spent living on site as master of one of the boarding houses. It would, however, appear that their garden was always immaculate as a routine punishment for misbehaviour would be ’50 weeds, boy!’ With DGSA moving to Purley Grammar School, Tim would recall how his father left early in the morning – wrapping his big frame into the small Fiat 500 car – and then return late at night as they were getting ready for bed. 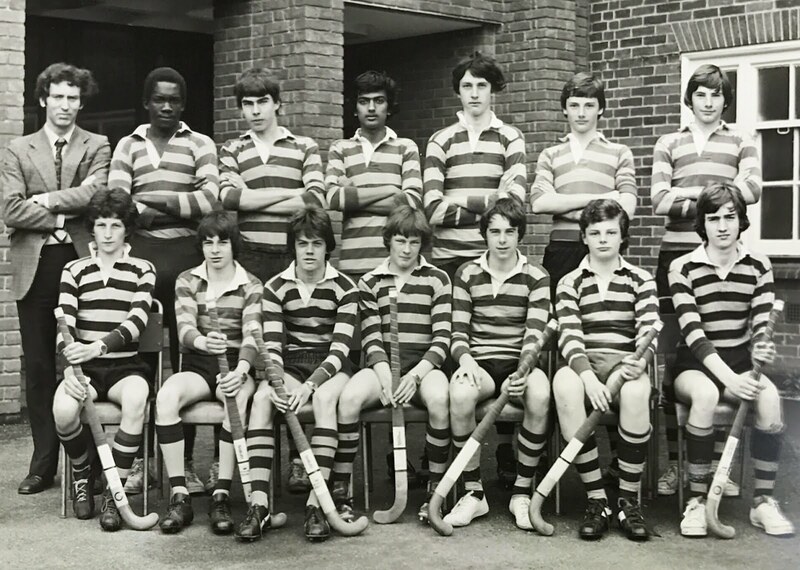 Weekends were given up to driving teams, in the school coach or minibus, to sports fixtures, refereeing rugby games or umpiring cricket matches. The longer holidays entailed trips to Bens in Snowdon or sailing trips to the Norfolk Broads. There was always something happening. As with all communities, there are always some in need of extra care and attention. In this regard, the family home was always ‘open house’ for any boy who found himself in such need. A friendly ear, encouragement, compassion, support were ever available and always freely given. In this regard, mention was rightly made of Pat Akers’ overall and outstanding contribution alongside that of her husband – whilst pursuing her own medical career. Behind every great man is a great woman! The second tribute was delivered by Colin Evans, for many years the deputy head at Purley under DGSA. Whilst acknowledging that DGSA could be demanding as a boss and sometimes difficult to work for, Colin’s recollections amply demonstrated DGSA’s generosity of spirit, his support for his staff and his vision, drive, commitment and enthusiasm for anything that he thought would benefit the school or its pupils. Mike Bonsier (Chairman of Governors) followed on and picked up on this theme. He outlined how DGSA’s time at Purley encompassed many fundamental and challenging changes to the structure of the school. The change from grammar to comprehensive structure. The move to a 14-18 year old establishment with Taunton Manor & Woodcote as feeder schools – and the need to widen both the curriculum and the available sports activities. Potential problems were identified in good time, a plan of action implemented and the best possible outcome achieved. All of this undertaken whilst never losing sight of the basic requirement of providing an excellent all round education. If the first tribute was the most moving, then the third was certainly the most humorous. Malcolm Newman – still a prominent and recognisable figure in the Old Coulsdon area – started by mentioning that during his four years at the school he appeared in four Sports Concerts, four school plays and four Gilbert & Sullivan productions. 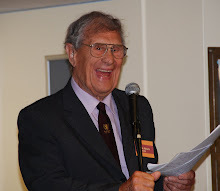 These obvious thespian talents were to the fore again as he relayed tales of his time at the school and brought many smiles and much laughter to the faces of those present. In particular, his vivid portrayal of his after school prefectorial duties in marshalling and controlling boys and girls at the 190 bus stop transported many of us back to our own time at Placehouse Lane. On a personal note, I am mindful of a regular series of articles that appeared in one of the supplements of the Saturday Telegraph some years ago. Under the heading ‘The Teacher Who Inspired Me’, celebrities would recall memories of those teachers who ‘had gone the extra mile’ or who ‘had given above and beyond the normal call of duty’ and helped then on to greater achievements than they might otherwise have expected or even aspired to. Whilst I can clearly recall Latin lessons as a second former with DGSA in the early days of his time at Purley, I believe it soon become apparent that his time was wasted in the classroom and was much more valuable as a leader. As such, I would suggest his contribution is much, much greater than that of a mere teacher. He took a good state grammar school and turned it into a wonderful establishment that provided the framework for staff and pupils alike to make the most of themselves and afford them many future opportunities. Under his guidance and leadership, the staff, through sheer hard work and dedication, provided the opportunity for a rounded, all-encompassing education. 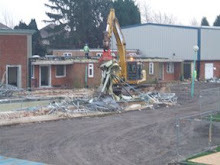 The school developed an outstanding and enviable reputation that resulted in the demand for housing in its catchment area rise – with the resultant increase in house prices. He was a pioneer. The saying goes that hindsight is 20/20 vision. This, together with experience of life in general and one’s own children in particular, affords the ability to look back and fully appreciate what Derek Akers achieved. The post Service gathering gave the opportunity to everyone mingle and chat. It was good to see a number of former members of staff among those present. In particular, it was obvious that John Sutherland and Dave Pope no longer enjoy the best of health so it was good to see them there. It was also encouraging to see former pupils remembering themselves to the members of staff – clearly enjoying meeting up again after all these years. Author’s Note – I am aware that whilst I did manage to get some photographs of staff and old boys who were present, the public location was not really conducive to getting everyone together for a group photo. A missed opportunity which I regret! Thanks are due to those who gave up their time to be present. Below- L to R - Paul Hobday, Chris Cuffe, Steve Kiss, ? , Martin Jones, John Davis & Graham Tong.